Learn how to become a freight broker with Freight Brokers Academy’s online Freight Broker Training Program. This course covers all of the “basics” of how to become a freight broker and performing the day-to-day duties of a broker. Our online Freight Broker Training Program offers a very convenient and self-paced option to our students. 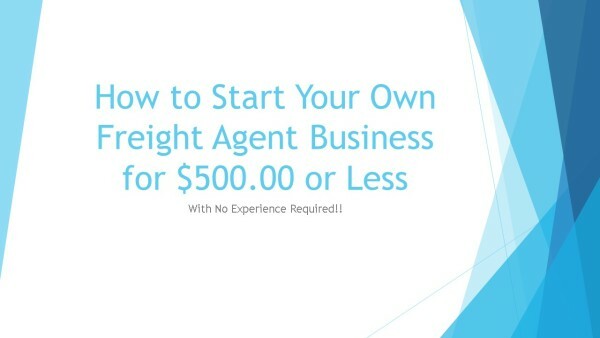 Learn how to become a Freight Broker from the comfort of your home! Work at your own pace; no required daily or weekly hours to attend! Access the course materials whenever you choose! Learn to become a freight broker with no experience and earn excellent income. All graduates of our Freight Broker Training Program are guaranteed placement as a Freight Agent. This course covers all of the “basics” of joining the freight brokerage industry and performing the day-to-day duties of a Freight Agent. Our Freight Broker Basics Online Course offers a very convenient and self-paced option for our students. The course is divided into 7 Modules that include downloadable course materials and video sessions. The course materials will be packaged in Adobe PDF and can be saved to your computer once you have downloaded them. Once the materials are saved to your computer they are yours to use and keep. The video sessions are played in Adobe Flash video format. Work from Home Or From Anywhere! Includes Your First Paying Account That Can Earn You Money From Day 1! Freight Agents Wanted – No Experience Required! Freight Agent Jobs – Guaranteed at Graduation!! 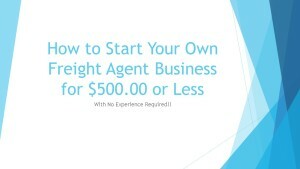 Freight Agent Training – How to Get The Best Paying Accounts!! Learn How to properly work a good account to generate the highest paying commissions!